With over 1.6 million visitors last year, Umstead State Park is certainly well used and well loved by the surrounding community. This park is not only a safe haven for a variety of species of wildlife and plants, but it also supports the health of the surrounding community by providing a respite from the daily grind and an opportunity for communing with nature and exercising the body. Want to know more about what’s happening in the park? Our biweekly blog , Umstead Inspirations, is designed to entertain, educate, enhance appreciation, and encourage involvement in upcoming events and volunteer opportunities. We’ll tell you what to look for on a seasonal basis including blooming wildflowers, activities of animals, and weather effects. This is your park, and we welcome your ideas regarding the blog. Please share the posts to encourage others to visit and enjoy. 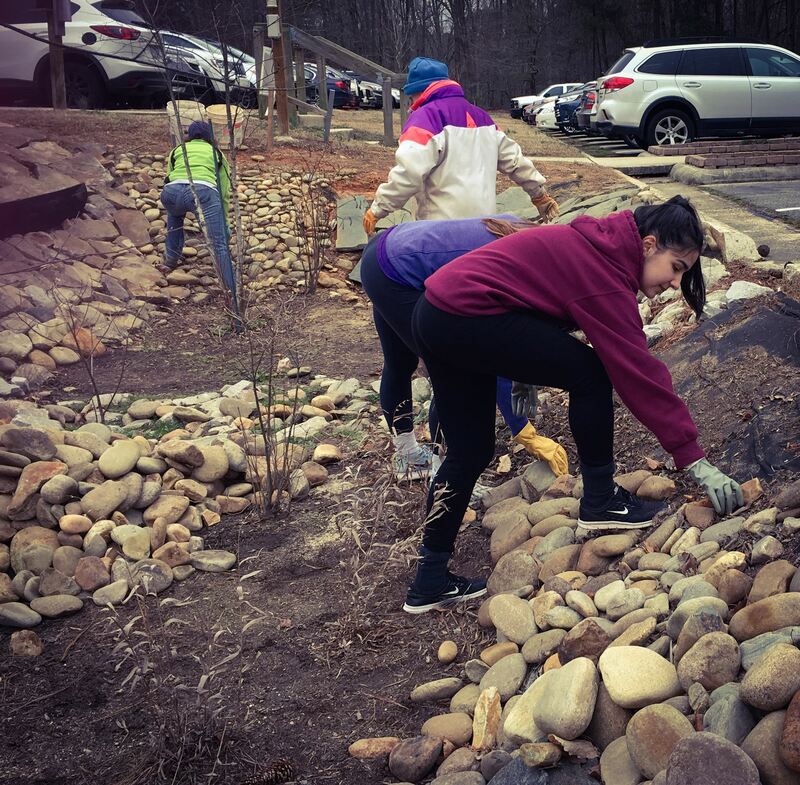 We are volunteers for and members of the Umstead Coalition, a group dedicated to protecting and preserving Umstead State Park for future generations. If this sounds like a worthwhile cause, you too can get involved. Volunteer for work days, become a member of the group, or donate to the cause. Why are we out there? 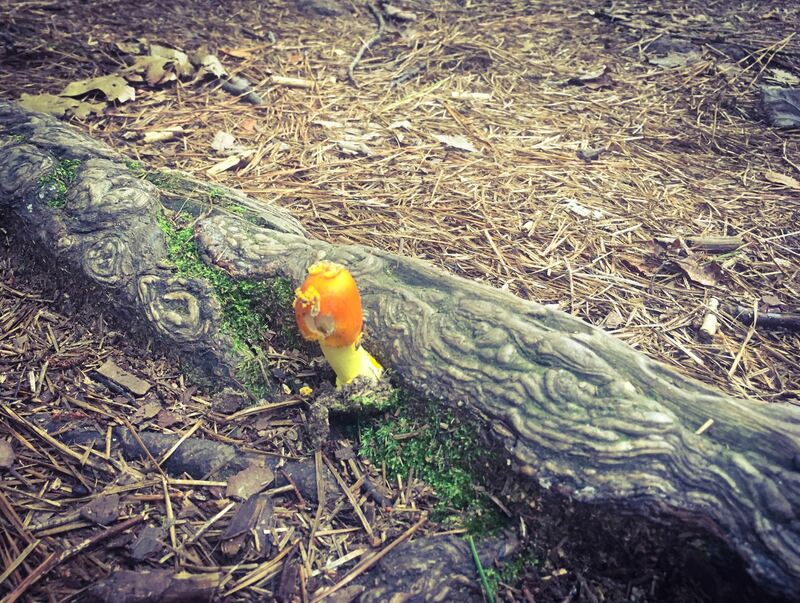 You can find more information about this project and several other initiatives on the Umstead Coalition website. When you visit in years to come, you may park under the shade of trees rather than in the bright glare of the sun, and you will delight in observing Monarch butterflies flitting among the native NC plants in our raised butterfly gardens. If you lend a few hours of your time - or bring a group of coworkers to assist during regular business hours as a community volunteer project - you will feel pride in your achievement every time you visit and have the satisfaction of knowing you gave back to the park you love. Currently, we are maintaining and modifying the Forested Rain Gardens in the medians of the parking area. Some of the rocks that were delivered to us for use on the slopes of our gardens are round like potatoes, which tend to roll downhill instead of staying put on our slopes. So they must go. We spent the last several workdays replacing round river rock on the landscaped slopes with more stable, larger flat rocks. What to do with these lovely rocks that are not suitable for our landscaping purposes? 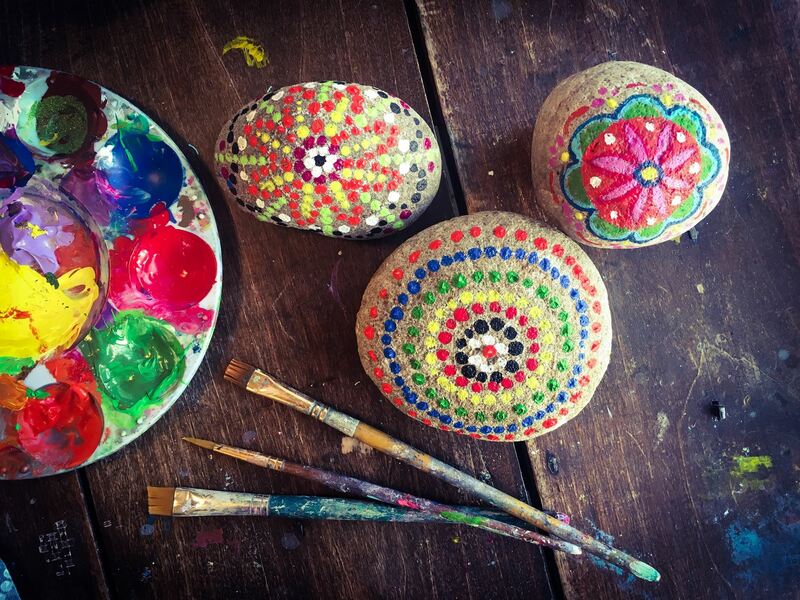 It just so happens that these rocks are perfect for painting. We are offering an opportunity for you to create a work of art with family and friends at Umstead Visitor Center on Saturday, October 13 and November 10, from 2-4pm. Supplies and instruction will be provided by Sociable Art. All ages and artistic abilities are welcome and encouraged. Sample designs will be available. Get more information here. 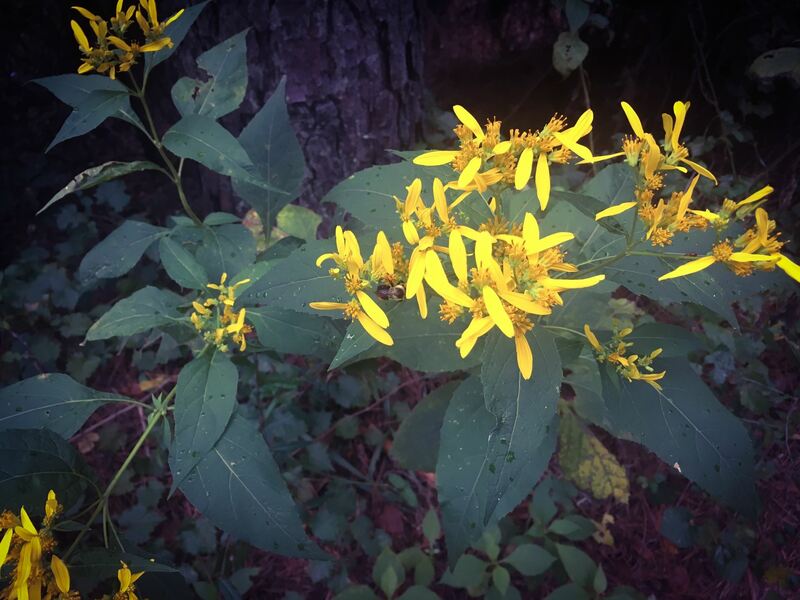 It’s September 12 and in Umstead the yellow crownbeard are flowering, ripe muscadine grapes are dropping to the ground, and the bright orange heads of American Caesar’s mushrooms are poking up from the leaf litter. The park is temporarily closed, the parking lot is empty, and an unusually strong breeze is tossing the treetops and scattering pine needles and leaves down the trails. A hurricane is coming. We are all aware of the potentially destructive effects of strong storms on our parks. We are saddened to see mature trees toppled across trails and may be denied entrance to the park for days, weeks, or months as cleanup ensues. As you prepare for upcoming storms, you can set aside your worry for Umstead. Rest in the knowledge that there are beneficial effects of hurricanes on our woodlands. For instance, the strong winds that wreak havoc on man-made structures also scatter seeds far and wide, thus assuring diversity of species. If a strong gust sends a mature tree toppling to the ground, it leaves a large gap in the tree canopy allowing the sun to reach the understory. 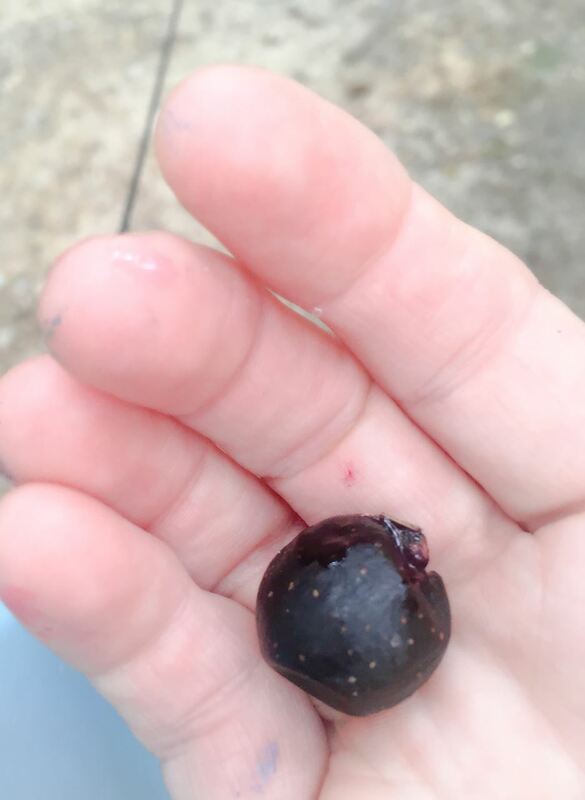 This way, there is an opportunity for new growth and the promotion of sun-loving species in a formerly shady environment. According to an article on the website, Sciencing.com, “Such cycling of vegetation communities is called succession, and it promotes biodiversity by giving more species the chance to occupy a given ecosystem and maintaining landscape mosaics of greater complexity”. As for the abundant rains that can cause disastrous flooding, they provide much needed moisture to vegetation during the typically dry late summer months when our area usually experiences drought. 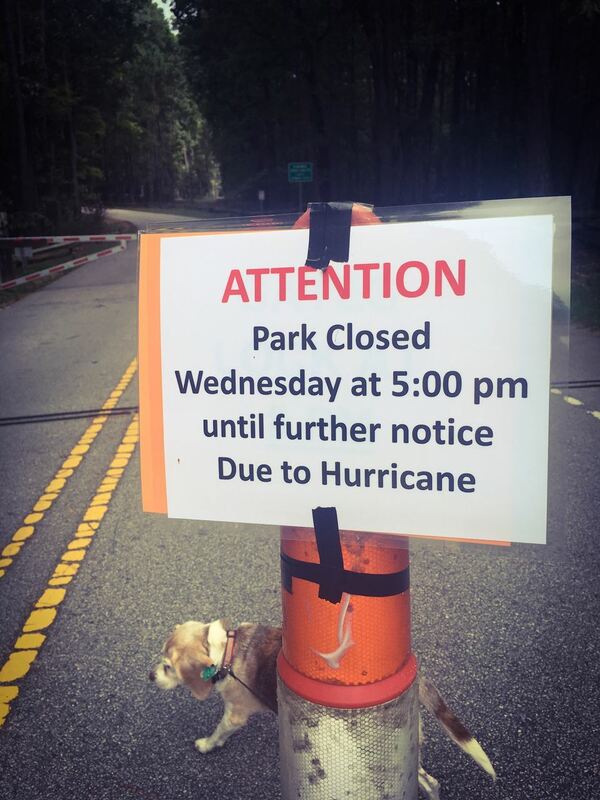 So, while we may not throw out a welcome mat for the next hurricane, at least we can take solace in the knowledge that our much-loved park will reap some benefits.